Det påtalas ofta att effekter sällan kan utläsas av kontrollprogram som upprättas efter etablering av vindkraft. Det kan bl.a. bero på naturliga variationer i de (fågel-)bestånd som undersöks samt att synbara förändringar ibland uppstår med avsevärd fördröjning – eller så klart att vindkraftverken inte utgör någon påverkan. Nu finns emellertid ett intressant exempel från Stor-Rotlidens vindkraftpark i Åsele kommun, Västerbottens län. Granholmsmyran, en myr som tidigare hyste ett vadarsamhälle, saknar mindre än tio år efter etableringen helt häckande vadarfåglar. Vid basinventeringen 2009 räknades 11 ljungpipare, 4 grönbenor, 6 gluttsnäppor, 2 skogssnäppor samt enstaka exemplar av rödbena och storspov. Ett halvt decennium senare, 2014, hade vadarsamhället minskat till 4 grönbenor, 2 ljungpipare, 1 skogssnäppa samt 1 småspov. Ytterligare två år senare stod alltså inte en enda vadare att finna vid inventeringen. Detta är givetvis en dramatisk utveckling och även om det inte är vetenskapligt belagt att vindkraftparken är det som har orsakat vadarnas försvinnande så finns det ingen annan uppenbar förklaring. This entry was posted in 2017, Scandinavian and tagged habitat, human impact, waders on 15 Aug, 2017 by Birdlife20 owner. Following tireless work from BirdLife Partner BANCA, Myanmar’s Government has designated part of the Gulf of Mottama a Ramsar Site – affording this vast wetland, an important wintering site for globally threatened waders, protection against the threat of over-fishing. Picture it in your mind’s eye: a wild, untamed stretch of coast, where rapid, powerful waves lash at the endless mud flats, constantly resculpting and refreshing the shoreline. Imagine, too, tidal flats that teem with life, as fish and invertebrates alike feast on the sediments and nutrients that flow into the coastal waters via three major rivers. What you’re picturing is the Gulf of Mottama – a giant, funnel-shaped estuary in Myanmar, and one of the most important wintering sites for migratory waterbirds in Asia. So rich are the pickings at the Gulf of Mottama that one out of every two Spoonies recommend it – Spoonie, of course, being the colloquial name for the Spoon-billed Sandpiper Calidris pygmaea, a Critically Endangered wader that has been hit hard by habitat loss across its wintering grounds. Here in the Gulf of Mottama, up to 180-220 Spoonies are estimated to arrive every winter – around half the global population of this scarce bird, cementing the area’s status as an area of outstanding conservational value. And yet, until very recently, the Gulf of Mottama’s future was far from secure. Despite its importance for threatened migratory waders such as Spoonie, Great Knot Calidris tenuirostris and Spotted Greenshank Tringa guttifer, and its recognition by BirdLife as an IBA Danger Important Bird & Biodiversity Area (IBA), the Gulf received no formal protection status, and this has led to its resources being drained at an alarming rate. The biggest threat to this valuable ecosystem is over-fishing. The numbers of fish in its waters have plummeted over the last decade, largely as a result of illegal fishers using nets that indiscriminately trap fish of all sizes and varieties – including juveniles. Bird hunting, too, has been a problem in recent years, but it is difficult to effectively control these threats in areas that do not benefit from government protection. This entry was posted in 2017, International, X and tagged conservation, protection, waders on 5 Jun, 2017 by Birdlife20 owner. I have been wearing a stone-curlew pin badge on my lapel this week to mark the recovery of this fabulous species. Yet, this is a story with a happy ending. 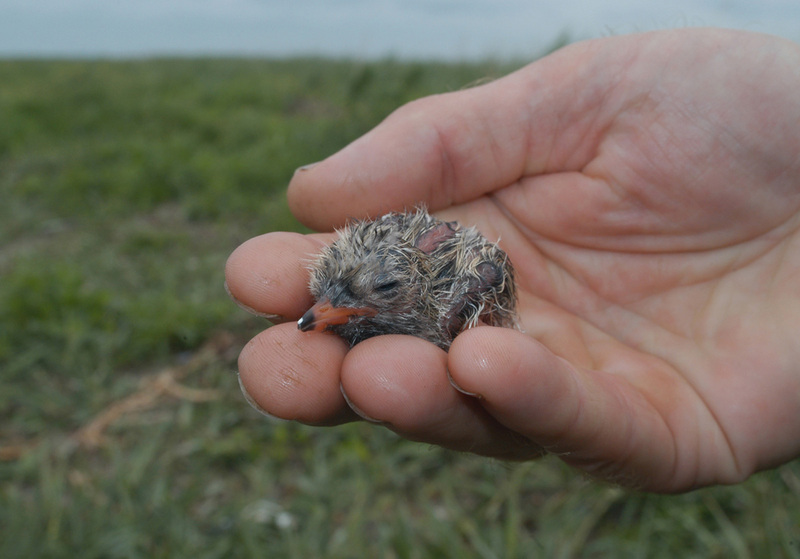 Through 30 years of hard graft, the RSPB and Natural England have forged a powerful partnership with landowners, farmers and volunteers in Wessex and the Brecks to help bring the population to its current 400 pairs. Not only has the stone-curlew been downgraded from a species of Red Conservation Concern to Amber, but through a five year EU Life funded project we now think the stone-curlew population is large enough to support itself, given enough safe nesting habitat. On Tuesday we held a conference to mark this achievement and, as part of the day, we heard about other species recovery successes from across Europe (such as the Azores bullfinch) and elsewhere in the UK (such as the cirl bunting). It was quite a day. I joined the afternoon and evening session having spent the morning being updated on our work to protect 350,000 hectares of Gola rainforest on the border between Sierra Leone and Liberia and even sniffed the first chocolate made by cocoa farmers on land between the forested areas. We want to support cocoa farming that is good for wildlife, prevents pressure on the rainforest and also creates sustainable livelihoods for the people living around the forest. Our ambition, of course, is to be able one day to say to our members “eat this chocolate and help save Gola rainforest”. Reflecting on the day, I was struck by the similarities of the various conservation successes which had been showcased. The ingredients of success in each of these conservation projects were common: more, bigger, connected protected areas with sustainable land use in intervening areas, coupled with targeted action and funding for threatened species, supported by committed partners from national/local government, business and local people. And, of course, all these projects all contribute to the global plan for halting the loss of biodiversity expressed through the Convention on Biological Diversity Aichi targets – targets 11 (for well managed land and sea) and 12 (for recovering threatened species). Putting a spotlight on success is important as it reminds us that, as well as documenting declines, we can improve the natural environment. Our collective experience gives hope and confidence that together we can make the world a better place for people and wildlife. What we need now is for decision-makers to stick to their ambitions to restore wildlife in a generation and come up with plans which build on the success of these projects, with resources commensurate to the scale of the challenge. And, given the uncertainties around Brexit (especially about future status of internationally important protected areas and future funding for nature friendly farming), we within civil society must continue to make the case for action. This is why we are delighted to have 41 MPs, 83 MSPs, 25 AMs (in Wales) and even 4 MEPs who are Species Champions and who are prepared to use their political voices for the protection and recovery of threatened wildlife. Together, we can turn things around. This entry was posted in 2017, International, X and tagged human impact, restoration, waders on 9 Mar, 2017 by Birdlife20 owner. To the layman, the curlews are a shy, unassuming family of birds. Their mottled-brown plumage makes for effective camouflage against their marshland and mudflat feeding grounds, meaning they can go about their business unnoticed, prying out invertebrates such as ragworms with their purpose-built curved bills. But if, like the curlews, you take time to dig beneath the surface, you’ll discover that they are beautiful and remarkable birds. The Numeniini are a tribe of large waders consisting of the curlews, whimbrels, godwits and Upland Sandpiper Bartramia longicauda. They are some of the most widespread and far-travelling of all birds, migrating back and forth from their upland and grassland northern hemisphere breeding habitats to their wetland, often coastal, non-breeding habitats to the southern extremities of all continents except for Antarctica. Indeed, one such member, the Bar-tailed Godwit Limosa lapponica is holder of the world record for the longest non-stop journey without feeding of any animal – satellite tagging has shown that birds from one population take eight days to fly from breeding grounds in Alaska 11,000 km to New Zealand every year. Perhaps it’s their wide range that means they have been a little overlooked by birders until now. Or maybe it’s that their camouflage is a little too effective. Whatever the reason, it’s time for the curlew to be counted, because an eye-opening new study reveals that they could be one of, if not THE, most threatened group of birds on our planet. The paper, produced in collaboration with the RSPB (BirdLife in the UK), British Trust for Ornithology (BTO) and the International Wader Study Group, and published in the journal Bird Conservation International, collated the views of over 100 wader experts from around the world, who assessed the threats faced by these species across their migratory flyways. Their conclusion: seven of 13 species – or over half – are now threatened with extinction. Indeed, two species of curlew may already be extinct; the Slender-billed Curlew Numenius tenuirostris, last spotted with confidence in 1995, which once migrated between the Mediterranean Basin and its breeding grounds in Siberia; and the Eskimo Curlew Numenius borealis, which once travelled between Canada and South America, and is almost certainly a goner, having not been seen with certainty since 1963 (and not in South America since 1939). The plight of the Eskimo Curlew has strong parallels with the far-wider publicised extinction of the Passenger Pigeon Ectopistes migratorius. The shorebird once numbers in its millions, but widescale hunting and habitat loss in its spring staging areas in the Rocky Mountains has led to, if not the total eradication of the species, then at least its decimation to the point where if it still exists, it does so as a tiny population in some uncharted corner of the Canadian wilderness. While the hunt goes on for traces of these Critically Endangered species, the paper highlights that attention too should urgently be given to the threats faced by the species we know for sure are still among us. The study discovers that overall probably the most serious threats to the future of curlews and their allies, is the habitat loss or degradation of the coastal wetlands they depend upon to roost and feed across their non-breeding range, including as refuel stopovers during their epic migrations. This entry was posted in 2017, International, X and tagged migration, study, threatened, waders on 9 Mar, 2017 by Birdlife20 owner. For those of us who live full time on a boat, we use a nickname for those who do not, “Dirt Dwellers” Now don’t get me wrong, a very good portion of our friends all fall into that category. Many of those said “Dirt Dwellers” are also birders, who just cannot understand how I go without a backyard or similar area to enjoy the birds that tend to congregate around houses. It’s just not a problem, as you have your robins, sparrow and warblers, and I have herons, egrets grebes and gulls. My office is, as measured by my Fitbit, 107 steps from my boat, so my morning commute is pretty reasonable. Along the way to work I get to see a pretty decent number of species. A couple of weeks ago, I was treated to a visit by juvenile bird that I had never seen before, at least I don’t think I have. And, it was that very question that got me to thinking about the identification of this bird versus other mature birds that look similar. Just a couple of days ago, a photo opportunity came along that just had story written all over it. The juvenile bird that started all this ruckus was a Little Blue Heron. While this bird is not what I would call a rarity in this area, I only see one or two each season. That compared to literally thousands of the Snowy Egrets and Great Egrets. The fact that the juvenile bird is, for the most part completely white, certainly helps it to blend in when there are dozens of like colored birds out on the tidal flat. Here in side the marina, one of the favorite fishing spots for all of the visiting herons and egrets, is the cement barrier that defines the launching ramp for trailered boats. This launch ramp is about 50 feet from my front door, so I get to watch quite a bit of activity, both birds and boats around that small piece of cement. Then, one morning, it all fell together. This wonderful piece of cement bird magnet had attracted not only the juvenile Little Blue Heron, but a Snowy Egret as well as a Great Egret! I ran to my office for the camera to record this momentous occasion (well, Ok, it was for me anyway) and by the time I got back, another Snowy had joined them. This entry was posted in 2017, International, X and tagged photo, waders on 4 Mar, 2017 by Birdlife20 owner.